Here I am just before trying the skis for the first time in almost twenty years. 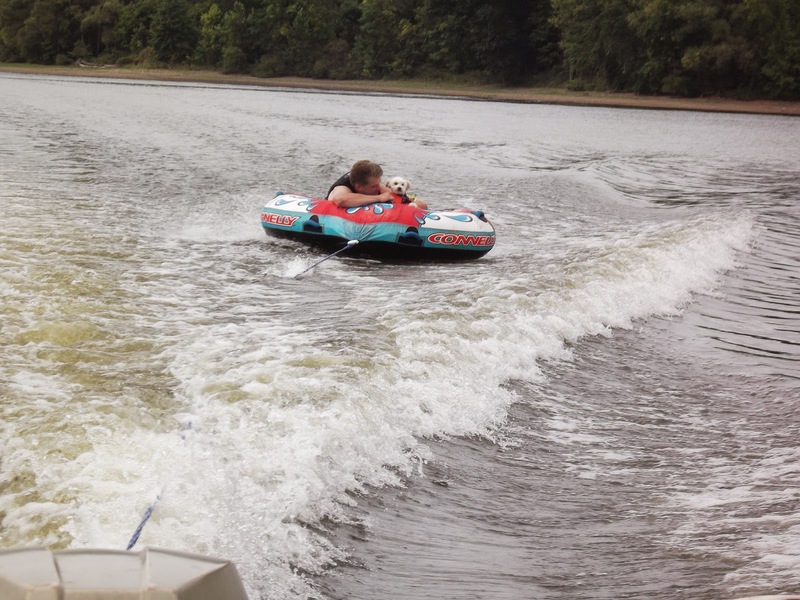 It was like riding a bike, I was able to get up and maneuver around behind the speeding boat. It was so much fun!!! I tried the wake board and was unsuccessful, and after three attempts my arms and back had enough. 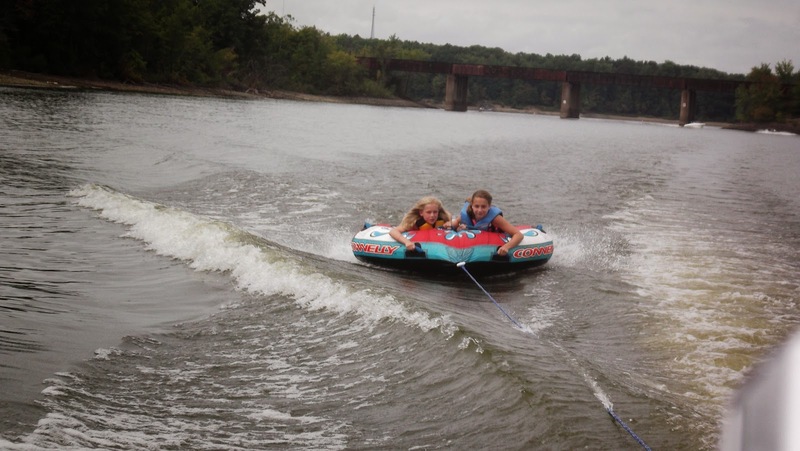 I also tubed the girls and yes, Georgie spent some time on the tube with me. He actually seemed not to mind it all, see below. 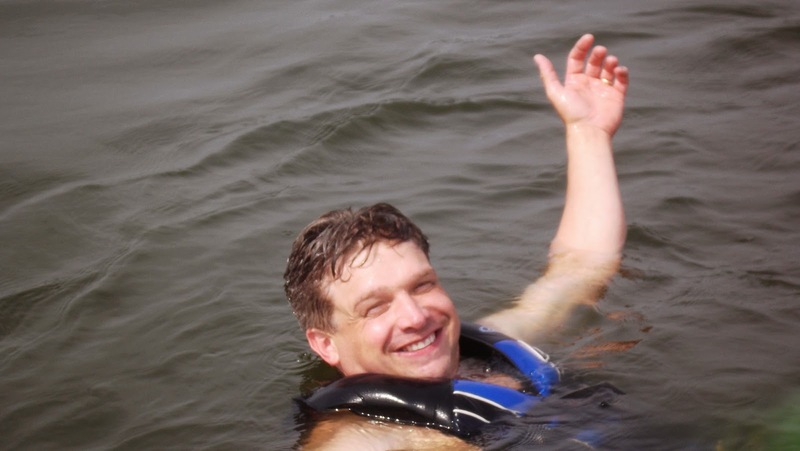 My Brother-in-law, Gary made pretty much everything in the water look easy. 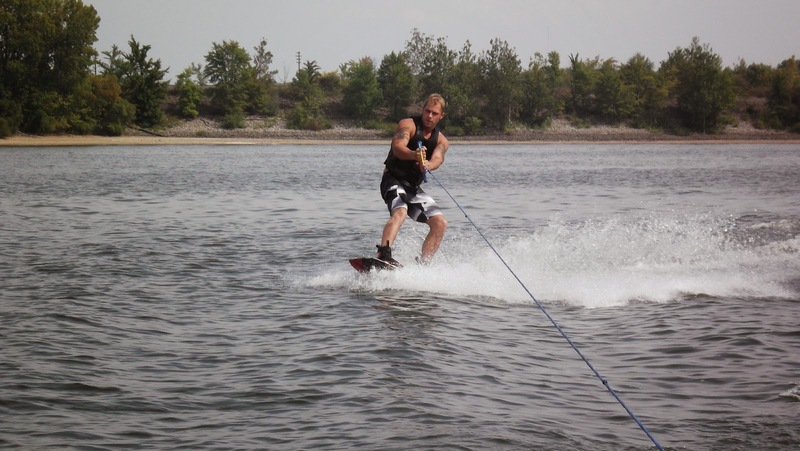 Below is him on the wake board. 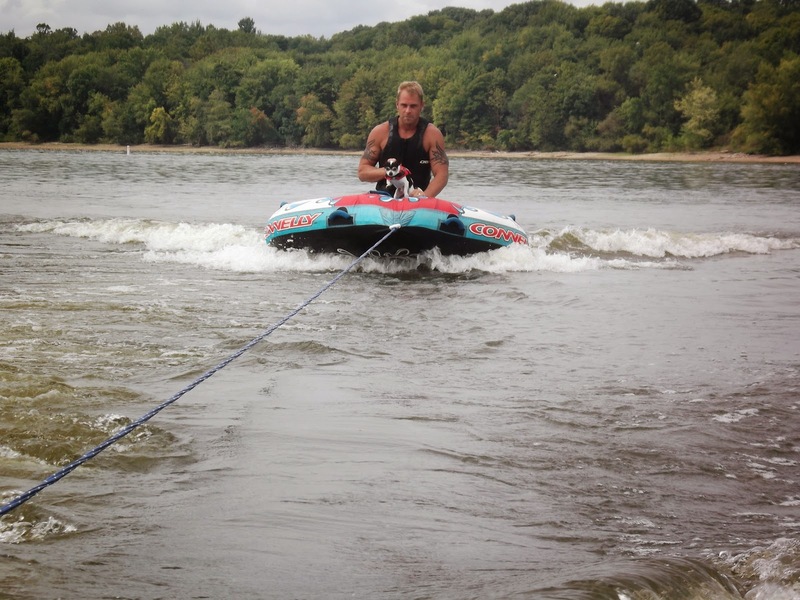 Below is Holly and Gary’s dog, Harley, getting ready to try out the tube. He did not like it as much as Georgie, but tolerated it. Here are the girls riding with their Uncle Gary. Thanks for visiting my blog and have a blessed week! !